Welcome back to episode 30 of the Ketodontist Podcast! After a bit of a break, we’re right back at it. Today, we have a guest on the show Mike Berta. Mike has been low carb for a few years, and over this summer performed a self week-long experiment where he tried to consume 90% of his calories from fat to replicate an experiment performed by Dr. John Limansky and Jimmy Moore. His results and specifically his blood markers were…. shocking to say the least. How did Mike get started with low carb? What has been Mike’s experience with keto in the past, and how has it evolved over time? 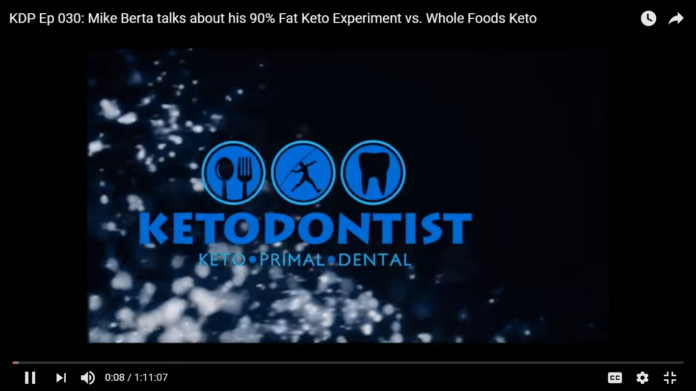 Did he find fat satiating as claimed in the keto world? How did this diet impact his blood markers, and how did they respond once going back to his normal diet? What has been his experience with Ketogains Bootcamps? How did the two separate experiments differ?